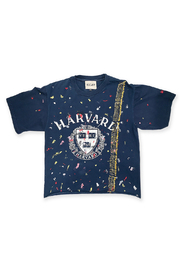 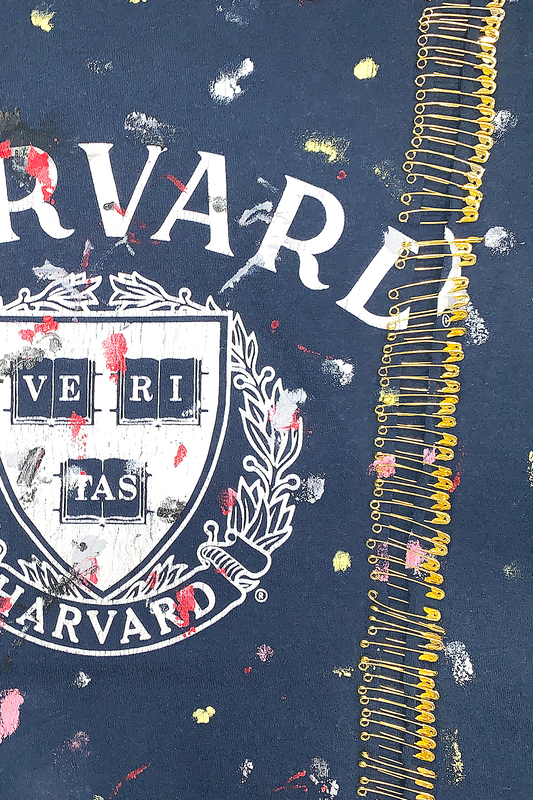 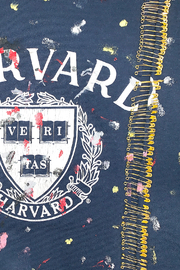 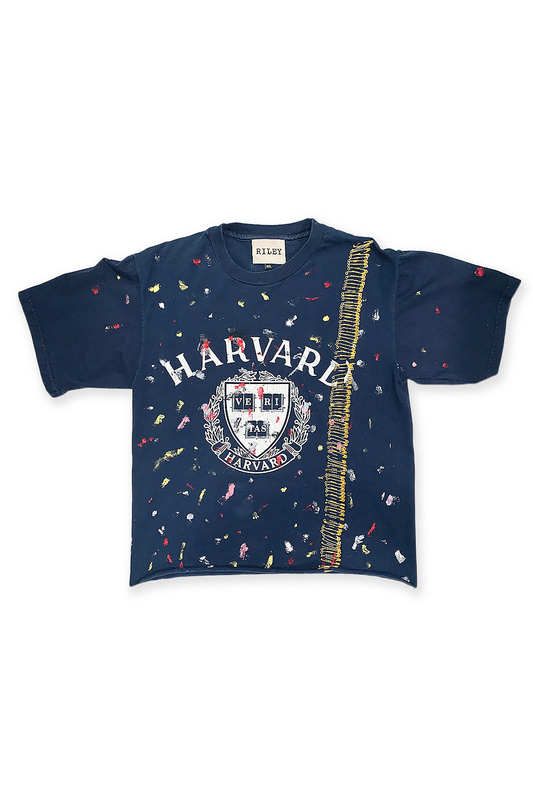 Random paint splatters, distressing, and a unique "cut and pin" finishing make this vintage collegiate tee from Harvard - one of a kind. 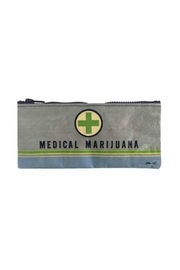 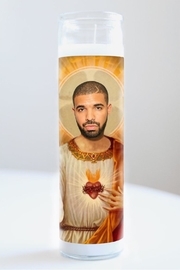 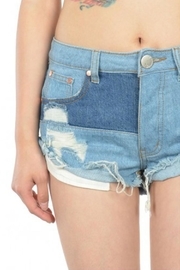 Length measures approximately 22 inches. 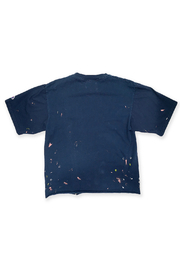 Sized medium/large Riley Designs incorporate vintage, recycled and surplus materials creating unique one of a kind pieces. Due to the nature of these materials, each item has it's own personality.